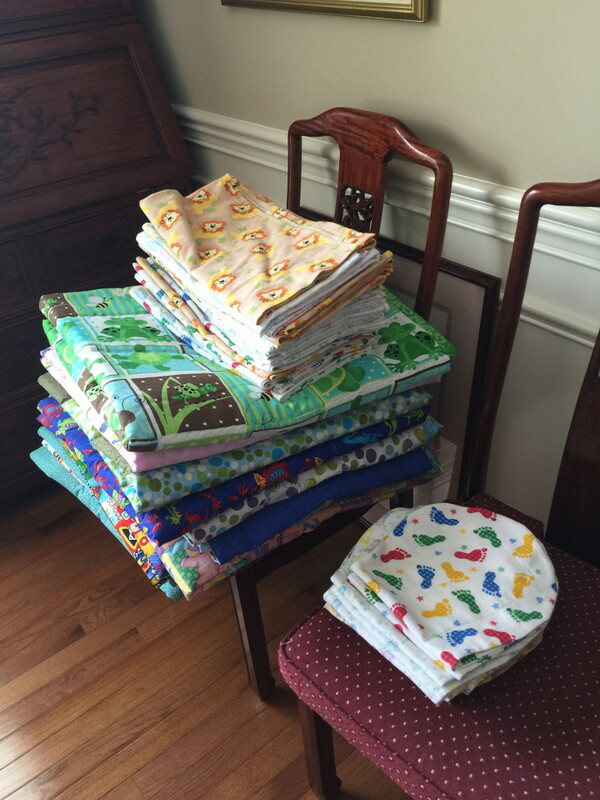 When I retired, I decided 20% of my sewing time would be spent on charity quilting. I just needed to decide on the organization or cause I wanted to support. I have a heavy heart for those who suffer from domestic violence, even though I don’t know anyone personally. I guess I’ve just experienced enough of the male dominated society I’ve grown up in that it touches me in that way. 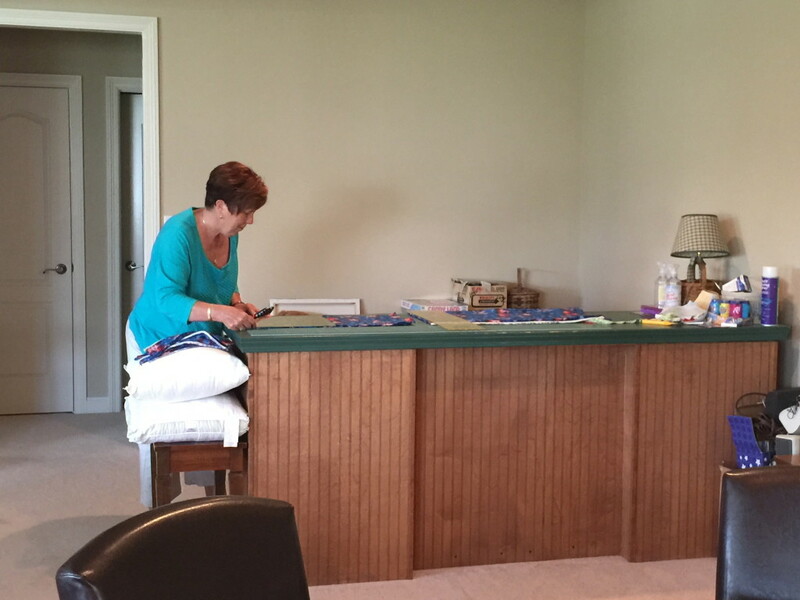 We don’t have a women’s shelter in our county, but there are plans for a 30 bed unit to open in 3 years. 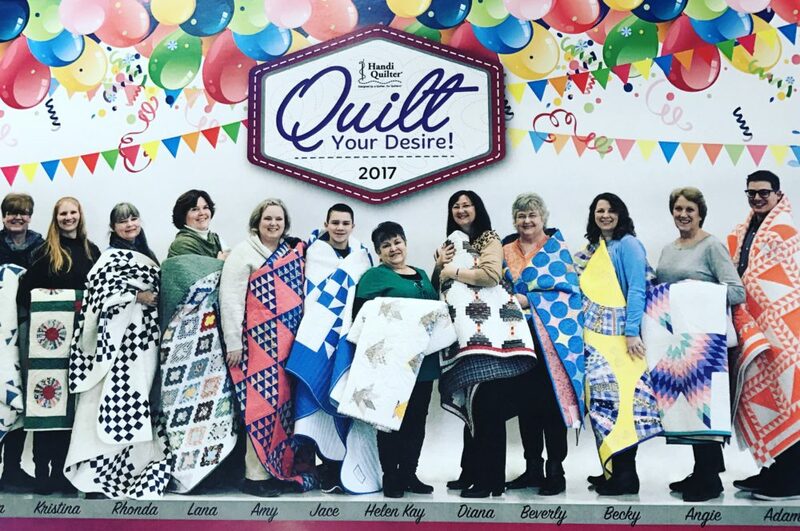 I thought I could make 10 simple twin size quilts a year and have 30 ready in 3 years. I knew it was a lofty goal, but I set forth. However, retiring allowed me the freedom to travel quite a bit and I fell farther and farther behind in that goal. But, I retired, so we could travel. I needed to reassess. 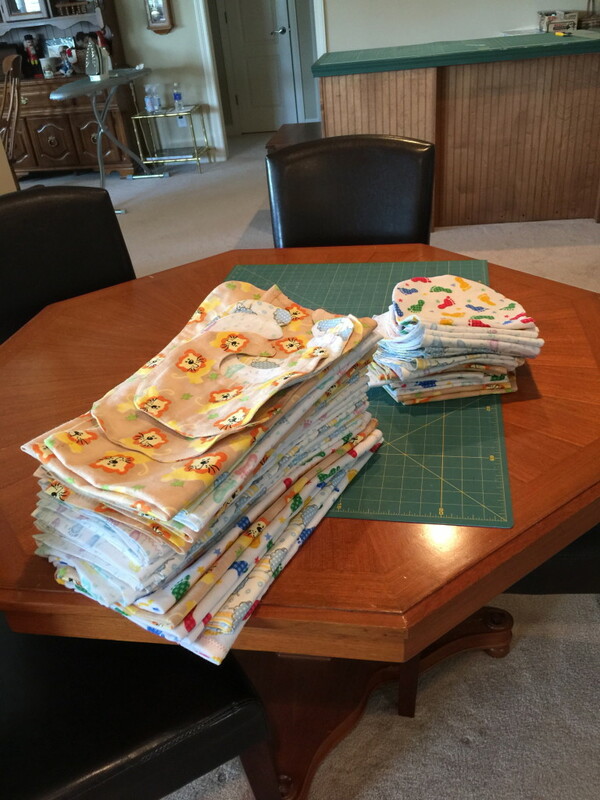 I had a friend who had mentioned she had organized a sewing group that supports Healthy Families and invited me to sew with them. 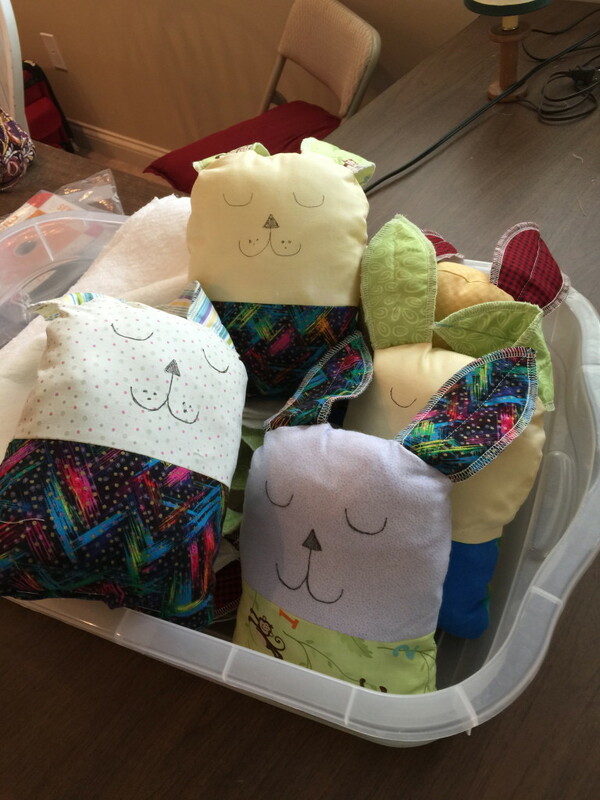 They make items that support members can take with them on home visits and leave them at the home as a gift. I researched Healthy Families and liked what I found. “Healthy Families Indiana is a voluntary home visitation program designed to promote healthy families and healthy children through a variety of services, including child development, access to health care and parent education. I ran it by my friend, who is in social worker, to give me a personal account of Healthy Families and she gave it a two thumbs up. Mary Alice’s group is very well organized (they’ve been at this for 12 years!) 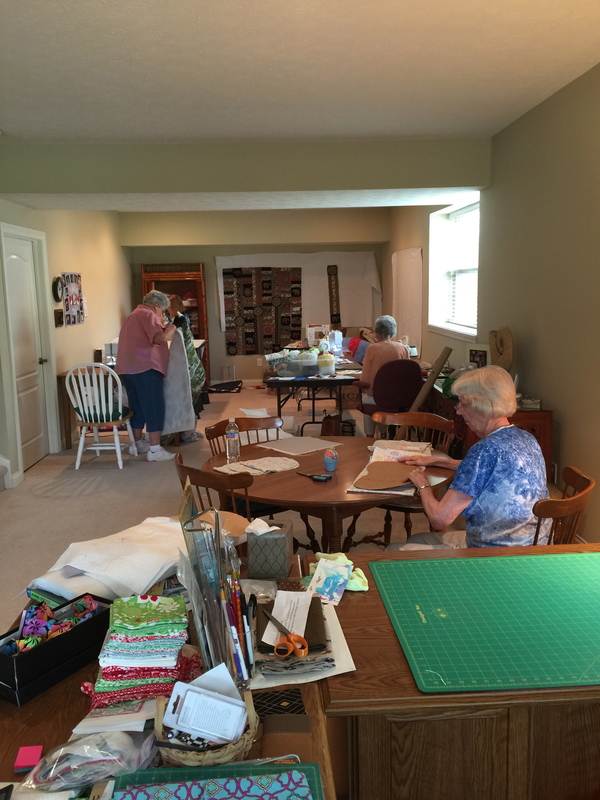 and each person has their station, be it, cutting out, ironing, sewing, quilting, sandwiching batting, etc.